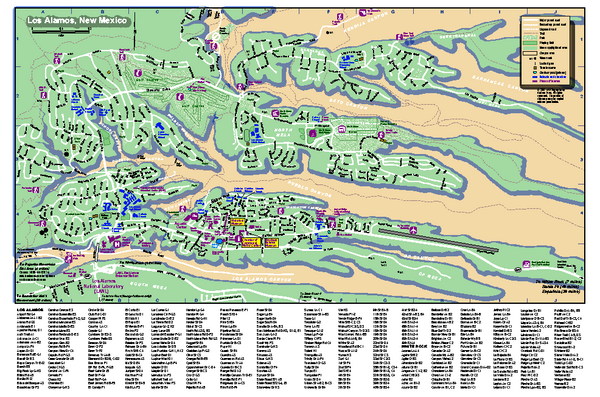 Los Alamos, New Mexico street and point of interest map. 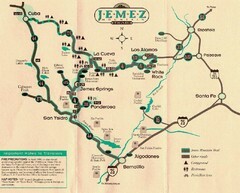 Mesas are colored green. 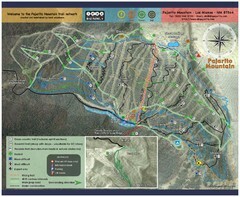 Trail map from Pajarito Mountain.